One of Sydney’s largest Clinical Research Organizations, is now using CoolPac’s Polyurethane Foam Insulated Shippers to ship its research material internationally. Before CoolPac’s involvement each of their consignments required up to 12 kg of dry ice as well as in-transit top-ups. 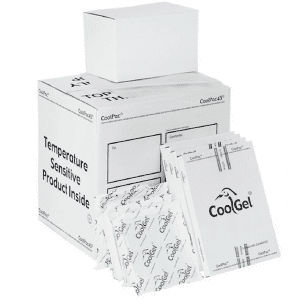 With CoolPac’s involvement, the dry ice requirement was reduced by half and the need for in-transit top-ups was eliminated. The estimated annual saving exceeded $117,000. The piece of mind that validated shipping gave the customer was an unexpected benefit. 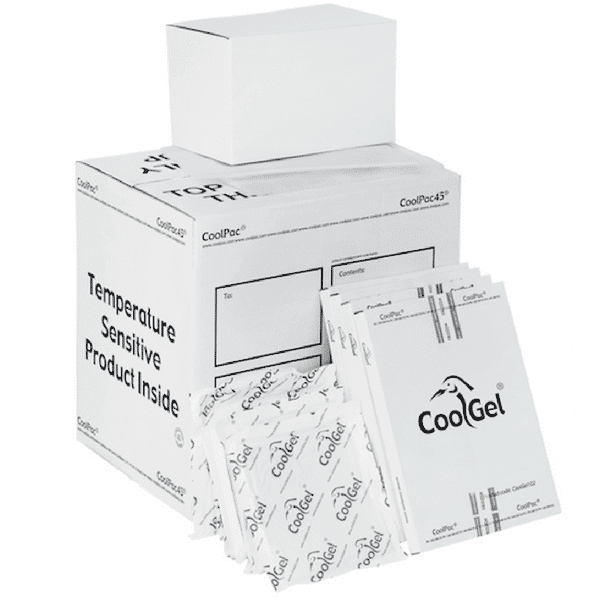 CoolPac was contacted by a Sydney based Clinical Research Organization to review its international Cold Chain for its clinical trial transport. Their present system was cumbersome, costly and unvalidated. Shipping route and destination for humidity and temperature profiling. Courier details including timetables and vehicle types. Time of each travel leg. A trip with long rest periods in hot transition areas poses different cold chain issues than one where the transition areas are cold. At the conclusion of this phase it was clear that the organization’s cold chain could be improved. Having developed a cold chain profile, we then developed a cold chain solution that could be tested in our shipping validation facilities. Our facilities allow a transport environment to be replicated and the integrity of the cold chain environment monitored. Our aim was to propose an “appropriately engineered” cold chain solution that could be tested in field trials. When the validation work was completed it was revealed that only 5-7kg of dry ice was needed instead of the 10-12kg being used presently. Field trials followed and these included logging the temperature of the consignment every five minutes. When the temperature logs were analysed the cold chain was found to have been maintained and so was validated. 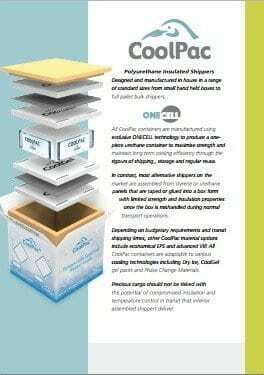 As a result of validating their consignments for use with CoolPac’s Polyurethane Foam Insulated Shippers, this organization now uses around five kilograms of dry ice per consignment compared to twelve kilograms previously. This translates into savings of $150-$250 on freight per container. With 15-20 consignments each week, not counting the elimination of dry ice top ups, this translates into savings in the order of $117,000 each year. An unexpected benefit of the process was the peace of mind for our customer. CoolPac’s validation included generous allowances for delays in challenging environments. This organization can now be confident that a delayed consignment does not translate to spoilage of their clinical research material.